Cultivate your version of extraterrestrial life, right on a windowsill or coffee table. 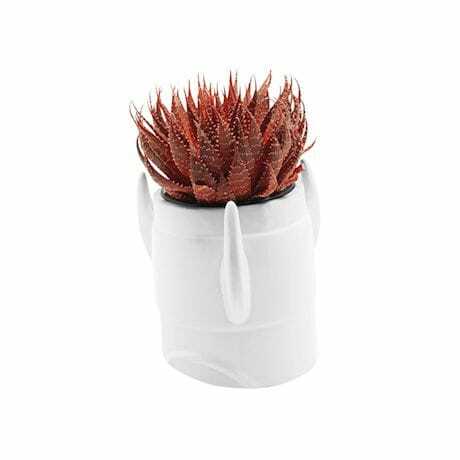 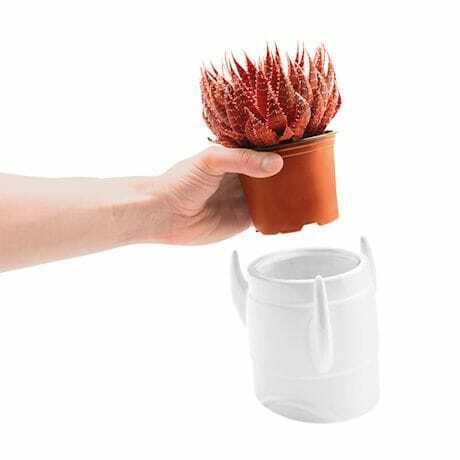 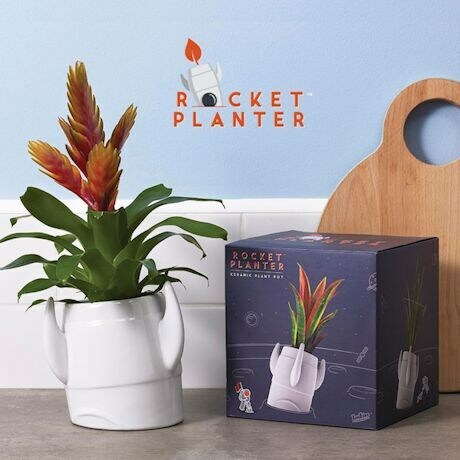 Simply add any flame-shaped plant (we suggest a spiky succulent or long-leafed tropical) to this crashed-rocket pot, and enjoy the silly effect. 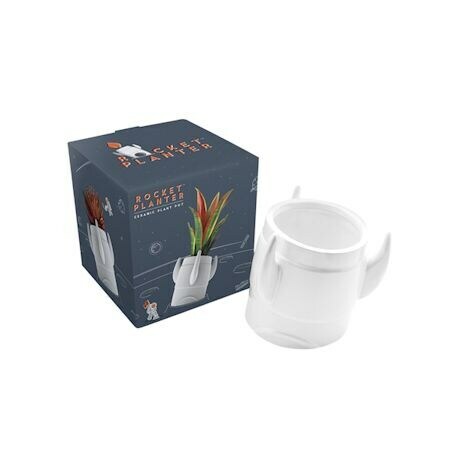 Glazed ceramic. 7"H x 6½" dia.